Air quality can have a significant impact on compressed air systems. Properly treated compressed air will improve productivity, system efficiency and product or process quality. Choosing the appropriate dryers and filters is very important. 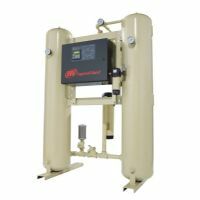 Ingersoll Rand has the widest selection of air treatment products and application knowledge to protect your investment and compressed air system. 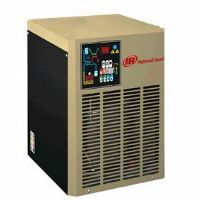 Ingersoll Rand’s unique line of cycling refrigerated dryers offer the ultimate in energy savings. Ingersoll Rand heatless desiccant dryers are simple to operate, dependable and economical. Ingersoll Rand’s heat of compression (HOC) desiccant dryers are the most energy-efficient dryers available. 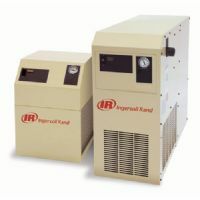 Ingersoll Rand non-cycling refrigerated dryers will deliver a consistent pressure dew point of 38°F to 50°F (3°C to 10°C). The dryers are available in wide range of sizes with a variety of options. The non-cycling design provides reliable and economical operation while delivering moisture free air. Ingersoll Rand’s unique line of Cycling Refrigerated Dryers offer the ultimate in energy savings. The dryers are constructed with quality components to ensure superior performance and reliability. 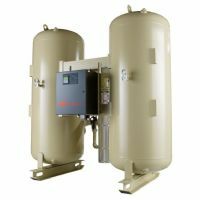 Ingersoll Rand’s heatless desiccant dryers deliver superior compressed air quality at a constant -40°F to -100°F (-40°C to -70°C) pressure dew point. Our heatless dryers are simple to operate, dependable and very economical. 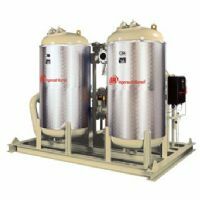 Ingersoll Rand’s heated desiccant dryers incorporate an external heat source to enhance drying efficiency and lower operating cost. The heated dryers deliver a constant -40°F to -100°F (-40°C to -70°C) pressure dew point for critical applications. Ingersoll Rand’s Heat of Compression (HOC) desiccant dryers are the most energy-efficient dryers available. The dryers recover the heat that is a natural by-product of the compression process. This “free” heat is utilized in the air drying process to provide moisture-free air, while consuming virtually no energy. 420-3,680 m3/hr (250-2,165 scfm) NEW!